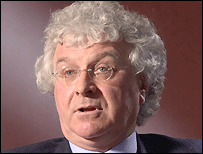 Property developer Seymour Sweeney has denied any special relationship with DUP leader Ian Paisley or his son. 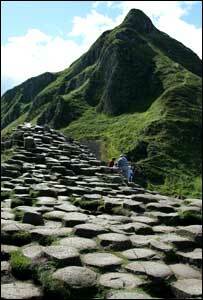 Mr Sweeney, a DUP member, said both men lobbied on his behalf on plans for a visitors' centre at Giant's Causeway because they believed in the project. Mr Sweeney said he has never met DUP Environment Minister Arlene Foster. He was speaking to the BBC's Spotlight for the first time publicly about his controversial bid to build a visitors' centre at the landmark. Mrs Foster has said she may approve his plans, but she said it was "rubbish" to suggest she was influenced by Mr Sweeney's membership of the DUP. Mr Sweeney said he had "nothing to hide" about his links to the party. He held a news conference in Belfast on Tuesday. Mr Sweeney said he wanted to hold the press conference to put forward his side of the story. "We came out and made statements when the minister first announced her minded intention," he said. "We felt that with those disclosures - in terms of people buying houses from us, or memberships of various parties - that being open and honest would have drawn a line under the matter. "That has patently and clearly not happened and has... besmirched, in my view, the actual merits of the planning application." Mr Sweeney admitted he used Mr Paisley snr's name on a Lottery Fund application without asking him. But he was also adamant that he had never said his project had been given approval by Unesco, a claim made by Mr Paisley snr. He said that if his centre was given the go ahead immediately it would be at least 2010 before it would be up and running. In Tuesday's Spotlight, Mr Sweeney said: "At no stage have I discussed this proposal with anybody other than the Paisleys (DUP leader Ian Paisley and his son Ian Jr) and local DUP councillors," he said. "I have not spoken to (DUP Tourism Minister) Nigel Dodds or Arlene Foster - if they came into this room now, I would be meeting them for the first time." The causeway attracts nearly 500,000 visitors a year, but the previous visitors' centre burned down in 2000. In September, Mrs Foster said she knew nothing about Mr Sweeney's background but his application to build a new facility had "considerable merit". "A minister, when making decisions, cannot and should not investigate party affiliations of applicants, and I did not do so in this case," she said.